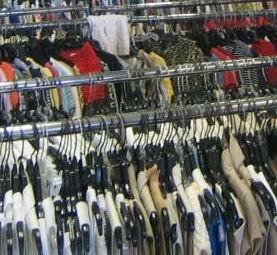 The Gowanus Lounge: Thrift Store Shortage In Sunset Park & Brooklyn? The Society of St. Vincent de Paul has operated a thrift shop for 14 years at their current location and for over 60 years in Sunset Park. The thrift store has been offering low cost clothing, books, children’s toys, canned foods, housewares, electronics and other donated items from local businesses and individuals. Serving a variety of charitable organizations, it also accepts vouchers for referrals from a variety of charity and social service programs in Brooklyn. At the end of March, without warning or alternative, this will come to an end as the shop closes its doors and the Society of St. Vincent de Paul moves its operations to Queens. This leaves the Sunset Park/Bay Ridge area, which in the past boasted of at least half a dozen such establishments, with only one. The sole survivor, the Salvation Army Store on Fourth Avenue in Bay Ridge is slated to close later in the Spring. In an area with a strong influx of new immigrants and a large contingent of working class families and the elderly, such an establishment is a great alternative in bargain shopping and a valuable service to the community. The writer has posted an online petition asking the Society of St. Vincent to keep its store open. You can visit it, by clicking here. All of which leads us to wonder if significant numbers of thrift shops have closed around Brooklyn as real estate prices have skyrocketed and commercial rents have shot up in some neighborhoods. We're aware that Housing Works recently opened a thrift shop on Montague Street in Brooklyn Heights, but we're thinking more in terms of thrift shops where people of modest incomes shop for clothing, furniture and other items. Sunset Park going from six to none would seem to be an alarming canary in a coal mine.